Following up on the Winnipeg - Churchill track story. It looks like there's some differences of opinions on how fast the response is to this problem. Omnitrax, which owns the track, is taking its time assessing the damage. 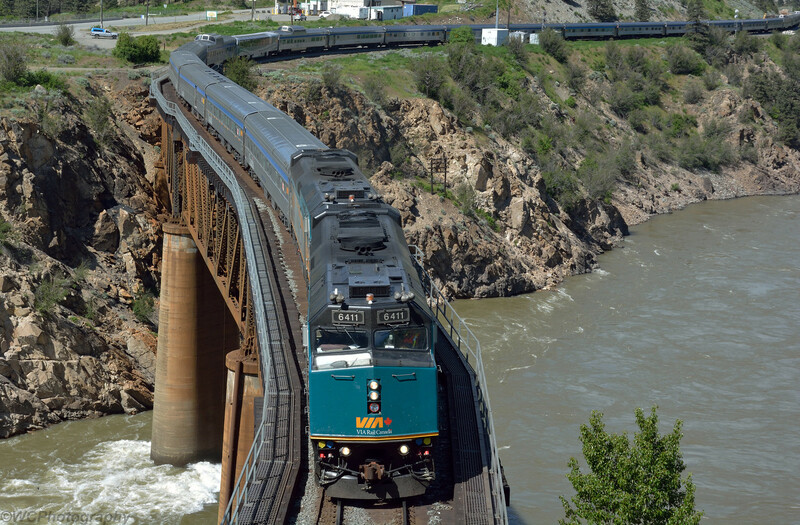 Until they do that, neither the provincial or federal governments will commit to helping with repairs. 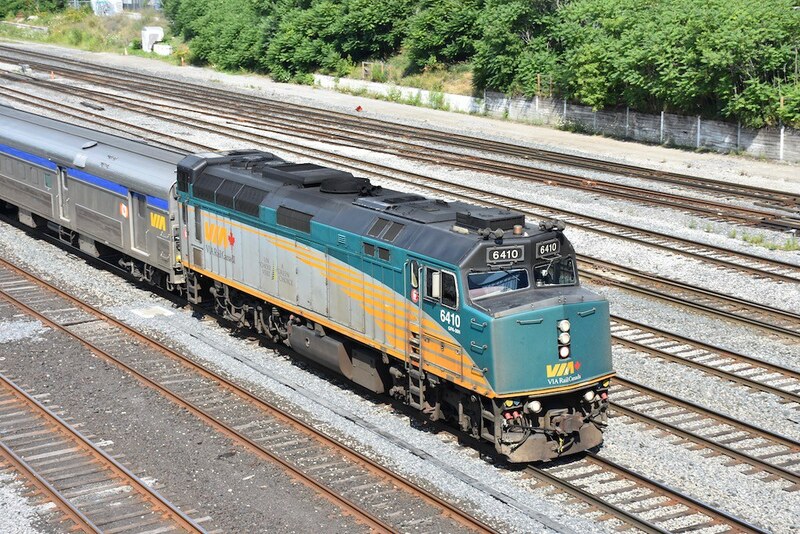 Omnitrax is making noises that it can't afford to fix the damage on its own. I know we live in a different world than 100 years ago, with insurance and a lot more regulations and red tape and environmental and safety concerns. But I think 100 years ago, they'd have been working on this for a month already and might have had it fixed by now. Instead we have different levels of government, track that's owned by an American company, rented by a Canadian crown corporation (the passenger service) and no doubt many other interests waiting on each other. The fact this closure only affects a few small relatively unimportant communities certainly contributes to this not being a priority for anyone. Disappointing that the company that "owns" the track is happy to run it until there's a problem with it. CN used to own that route. They must have disposed of it to a 'short line' operator. The same happened in the Okanogan. CN sold off their Okanogan Subdivision to the Kelowna Pacific who subsequently went 'belly up'. Now, CN is back operating what was once theirs. 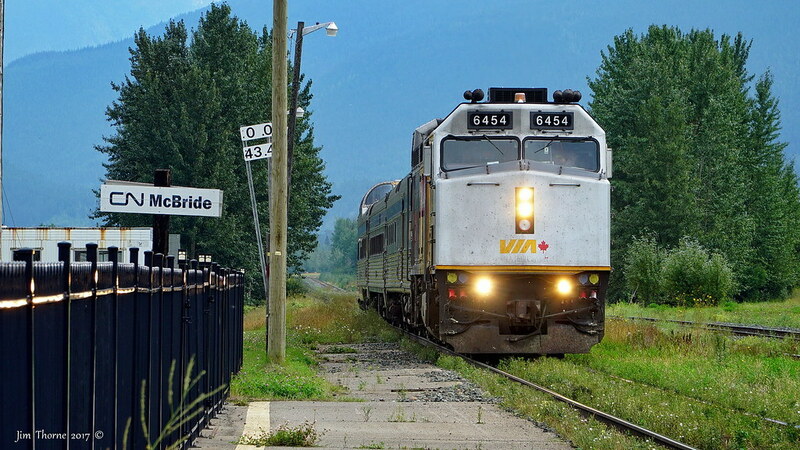 The Prince Albert Park brings up the tail end of Via Rail Canada's west bound Canadian on CN's Edson Subdivision just east of Swan Landing, Alberta - 1 September 2017. This is where the Athabaska River flows out of the east end of Brule Lake, north west of Hinton. This train was running only about 90 minutes late, almost 'on time' considering the priority that CN gives Via's flagship train. 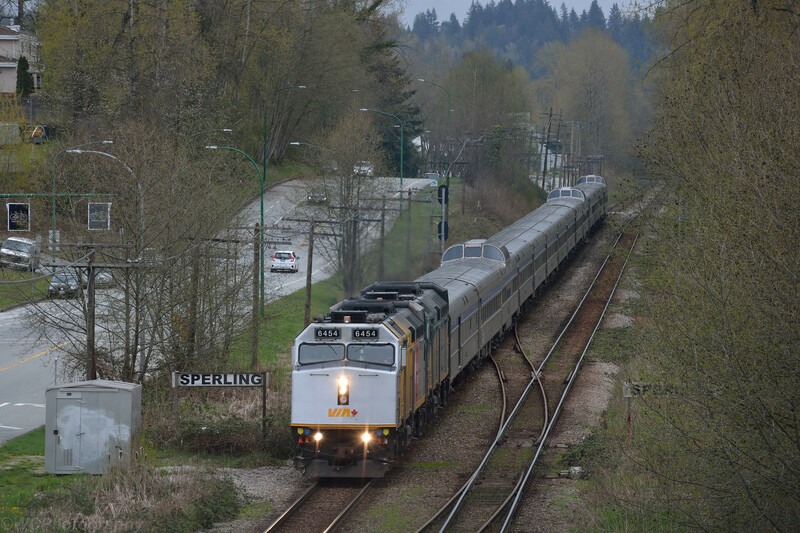 On Via rail "Canadian" Train 1 arriving at Vancouver Pacific Central Station from Toronto Union Station. I am posting these photos because this first time I caught Canadian arriving at Pacific Central Station. Wow... that first shot looks like at least sixteen passenger cars... I didn't realize Via trains were still that long. During the summers the consist is over 20 cars. Half that length during the winters, however. 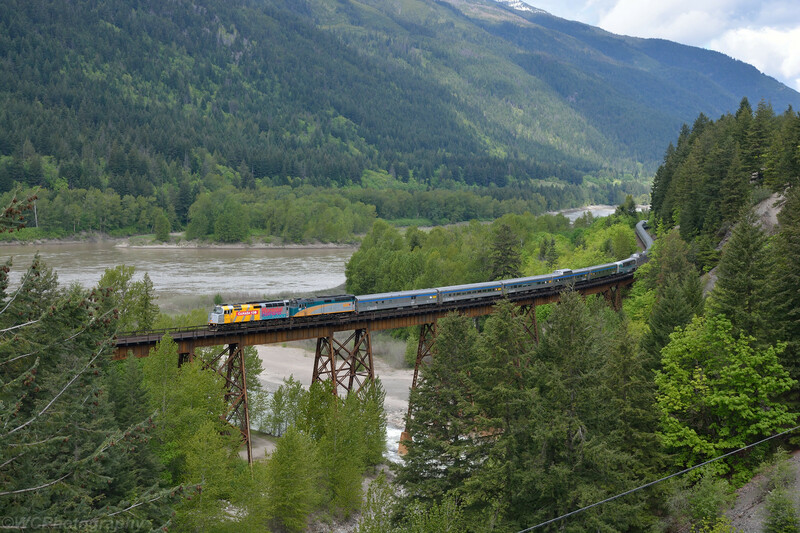 On some days this past summer, the Canadian was 30 cars long, with 3 locomotives pulling it. 25 hours late! 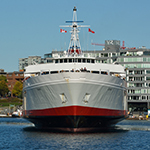 On January 2 I took VIA's Canadian from Vancouver to Toronto. A very long train with 17 cars and 3 locomotives. Many passengers heading to Blue River for Heli skiing, others to Jasper for a taste of the Rockies and some like me making the entire journey. A full moon and lots of snow made evenings in the dome car worth while, and the northern lights across the prairies were amazing. 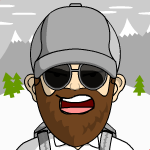 Plenty of wild life including wolf, fox, coyote,deer, elk, moose and antelope. 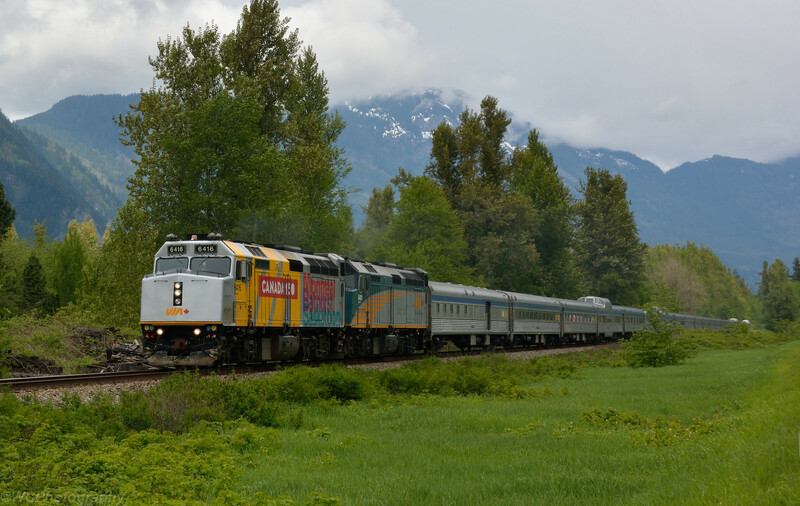 Dining car food is outstanding with a different menu each night feature a red meat (Alberta prime rib, Gulf Island rack of lamb and Fraser Valley crown roast of pork), a fish entree (Winnipeg gold eye, Skeena salmon, Haida Gwaii halibut), a fowl and a vegetarian. No frozen items other than ice cream! Service levels very high with excellent staff onboard. Bitterly cold weather ( -26 to -35 across the north) took a toll on time keeping with a 25 hr delay in Toronto arrival. A trip all Canadians should do at least once! 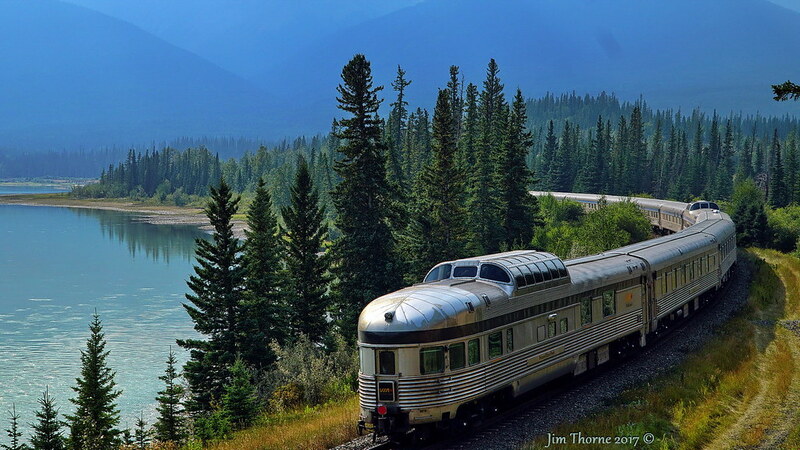 I took the train several times as a lad from Vancouver to Edmonton and enjoyed it as you can imagine a kid would. I even got to go to the front and blew the horn inside the engine cab that was AWESOME! 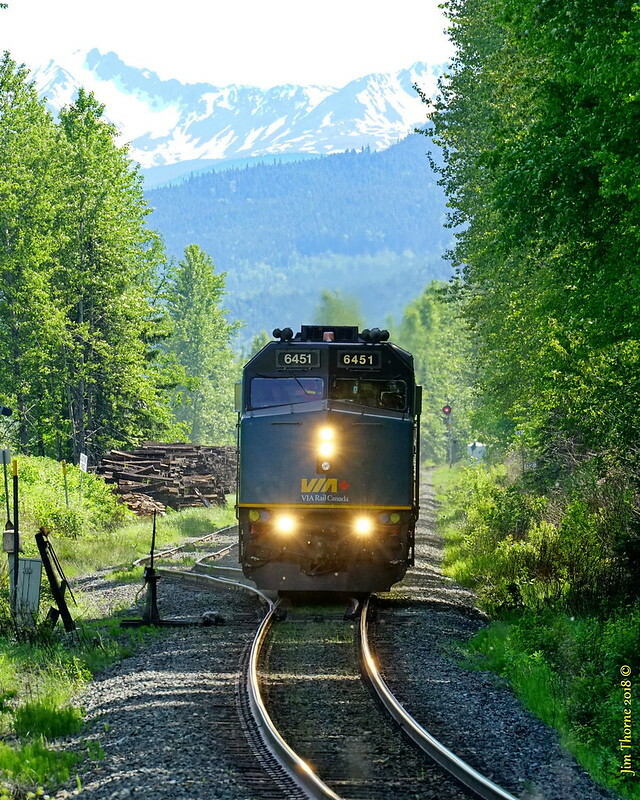 I have had occasions in the past few years to take the train and would consider it. HOWEVER OMG!!!! It's cheaper to fly, which probably explains why the train was empty on the episode of Mighty Trains I saw. 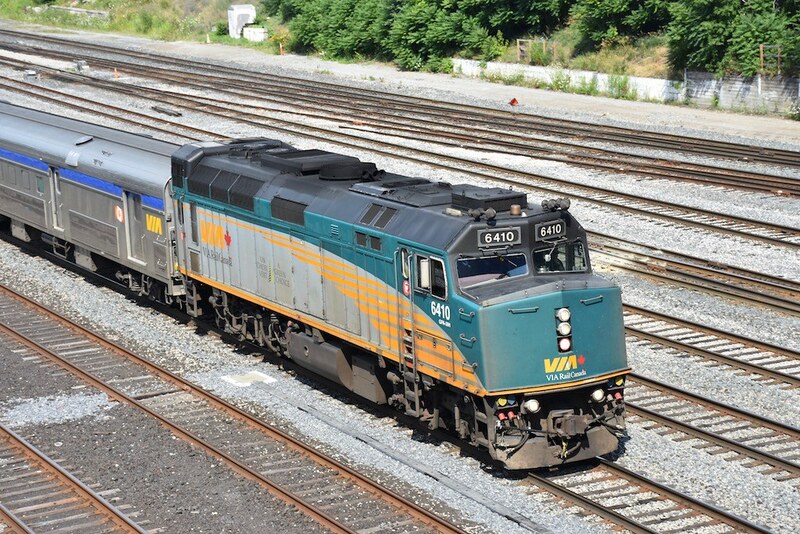 Again If I was a gazillionair I would love to go to Halifax and back to Vancouver by train and it is on my bucket list. 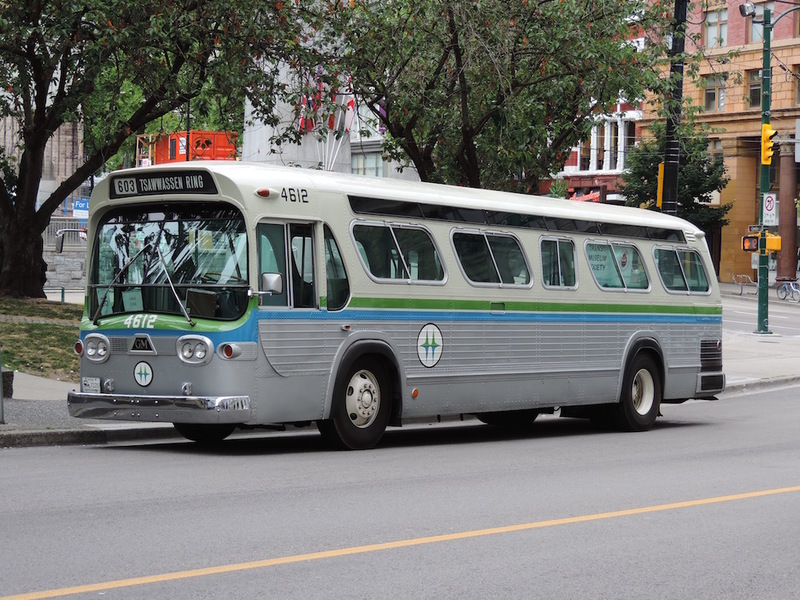 Yes, a big difference in the fares! VIA in a bedroom was $1700 one way; Air Canada on the return was $349! It would appear than almost no one in the sleepers were using the train for just transportation, for most it was really a "land cruise". Coach is much much cheaper, on par with Greyhound and significantly more comfortable than the bus. 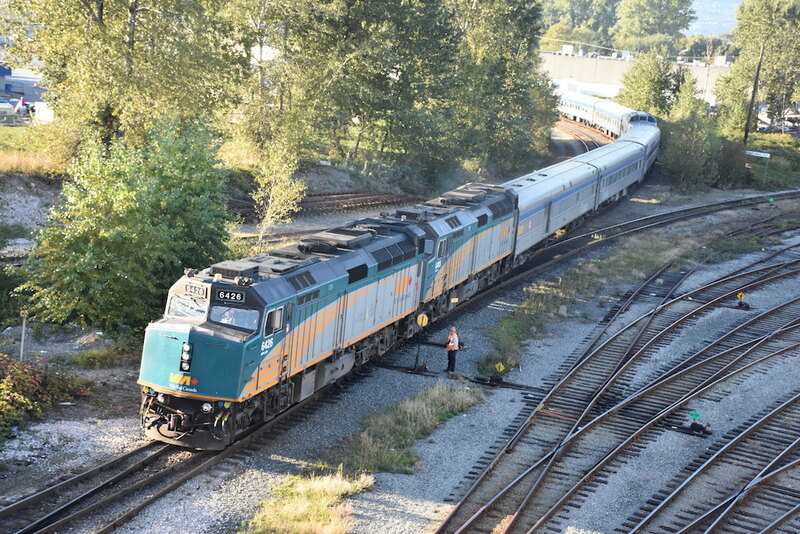 VIA #1 passes through Sperling, on CN's New Westminster Sub, running about 5 hours late. 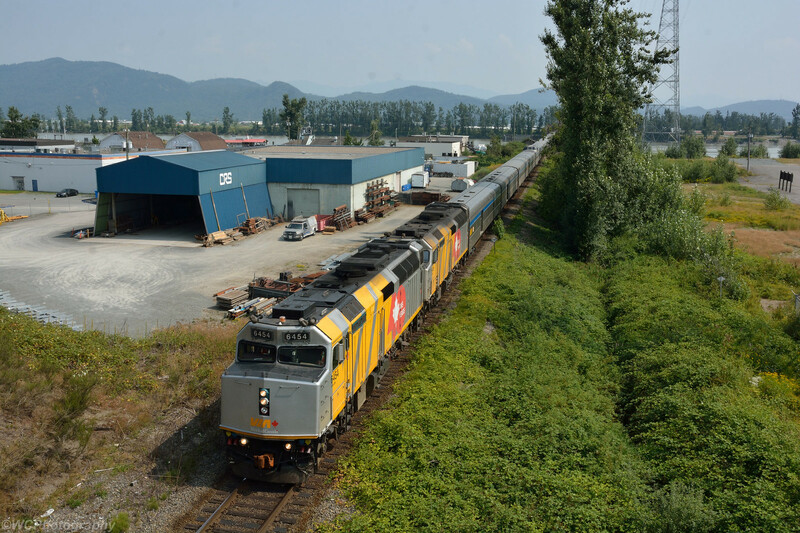 6454 has traded it's Canada 150 wrap for a VIA 40th Anniversary one. 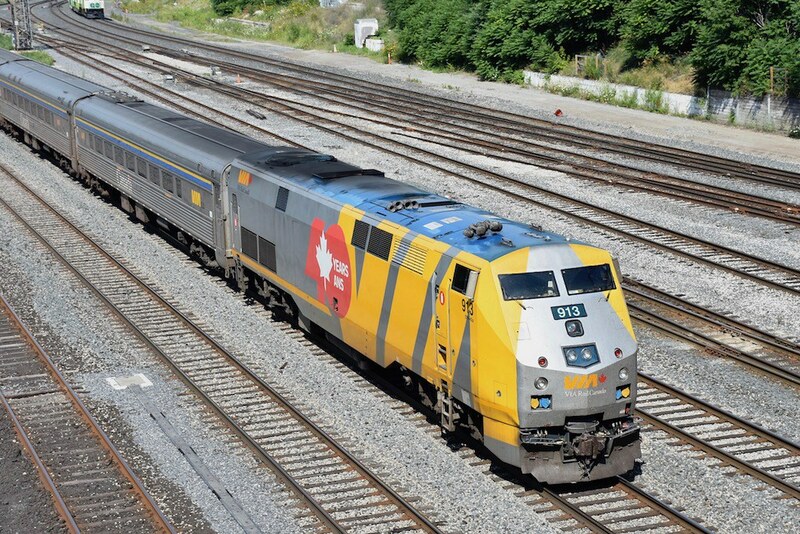 VIA Rail is changing the schedule for the Canadian! 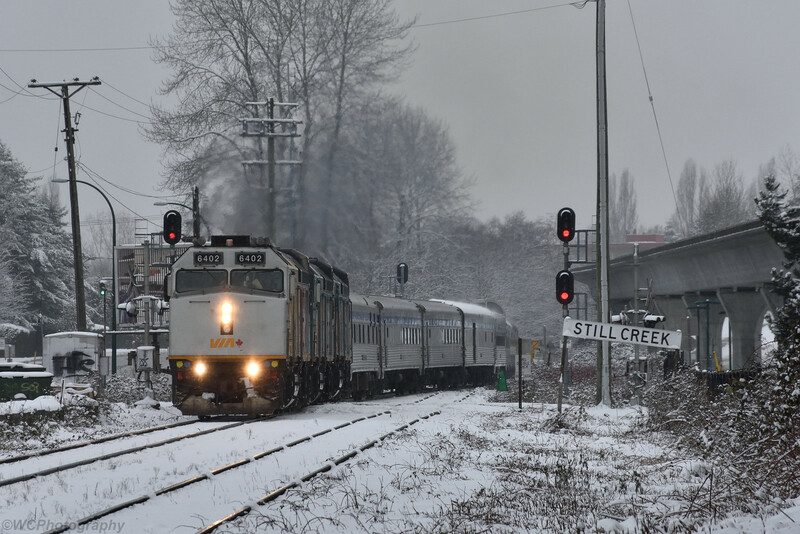 Instead of leaving Vancouver in the late evening, it will be leaving Vancouver at noon - providing daylight service for a good part of the year through the Fraser Canyon, arriving at Kamloops around 9-10PM. I've always been disappointed that the Fraser Canyon portion was in darkness in both directions on the old schedule. It sounds like the reason for the change is that more time has been added to the trip to help alleviate delays that have become longer and more frequent. 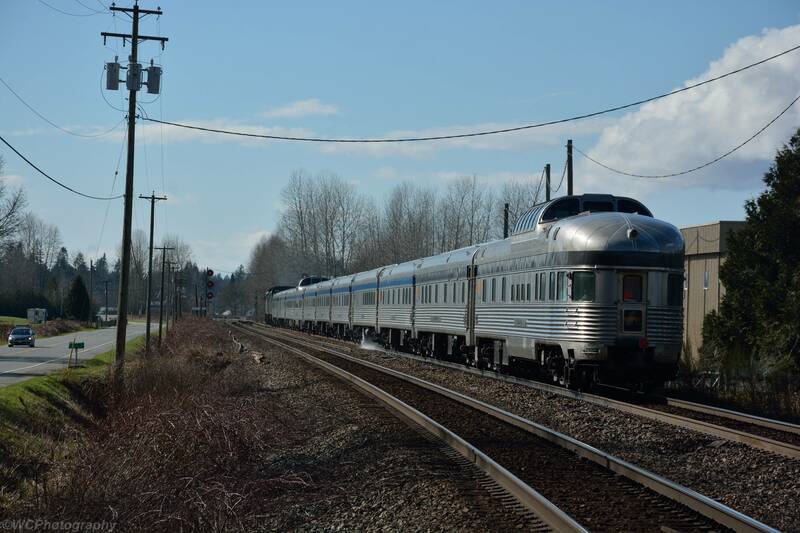 Today was the first day for the new schedule for the eastbound Canadian. 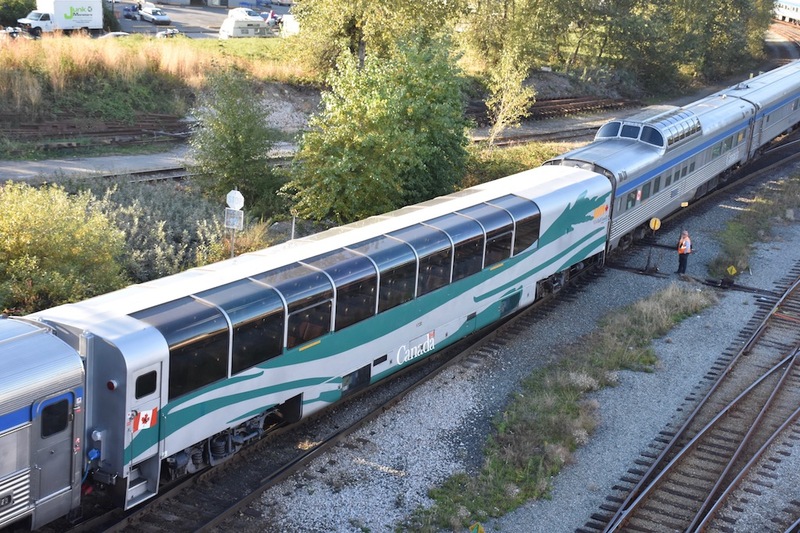 Here the first eastbound departure under the new schedule is seen pulling away from it's stop in Mission. Previously this stop would've been made after dark. 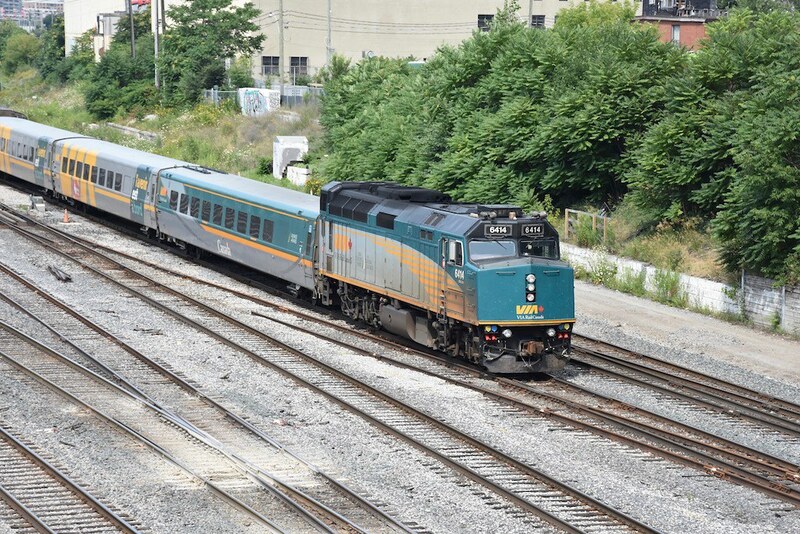 VIA Rail Canada on Union Station Rail Corridor coming into Union Station. 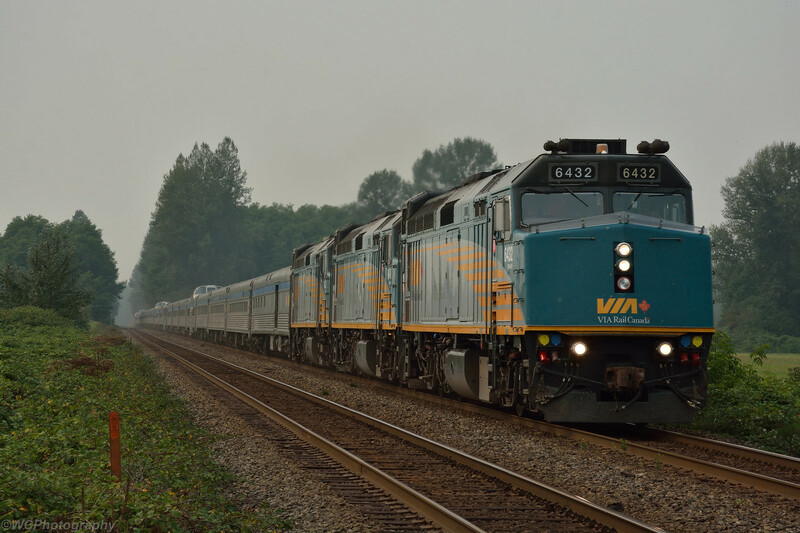 I am posting these photos because we don't have many photos of VIA Rail in Ontario. 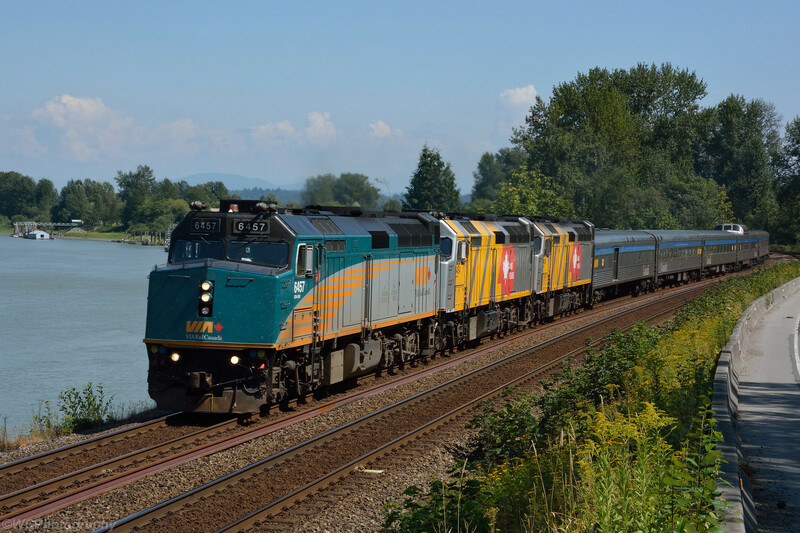 Running on the new schedule, the westbound Canadian heads west alongside the Fraser River near Fort Langley, only running about 50 minutes late. August 4, 2018. 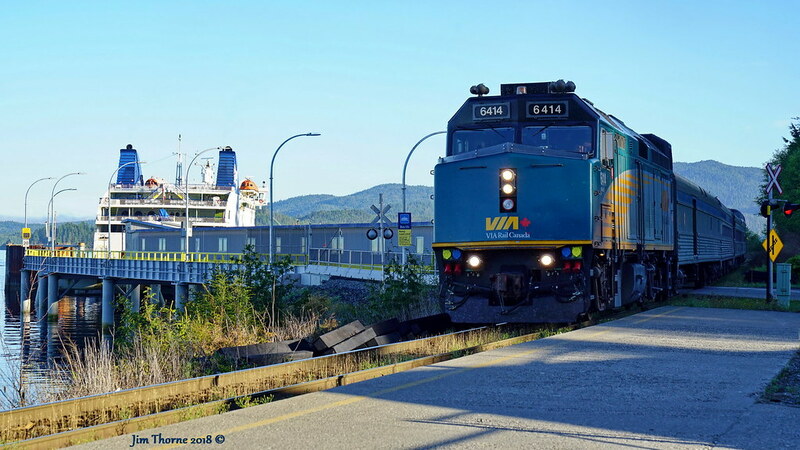 A train & a ferry; what could be better? Glad to see that some of BC isn't covered with smoke from forest fires. 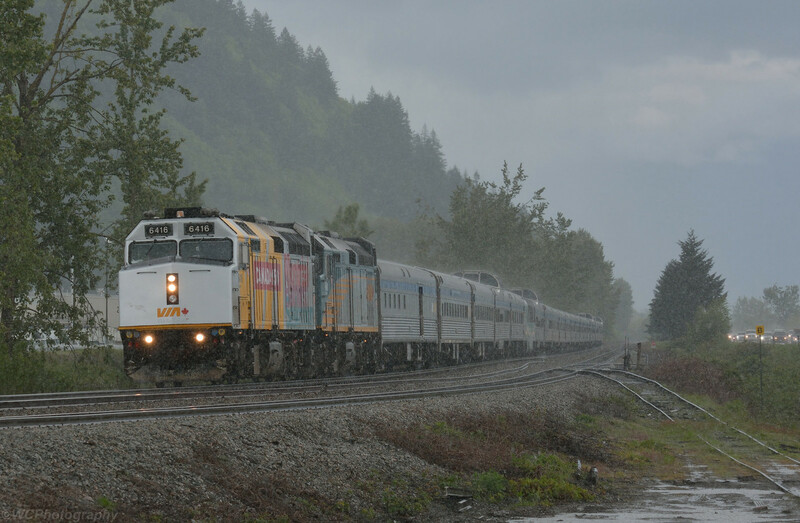 Captured on the same day as your photo, a trio of F40PH-3s hustle a 27 car Canadian east through the ever-present haze from forest fires. 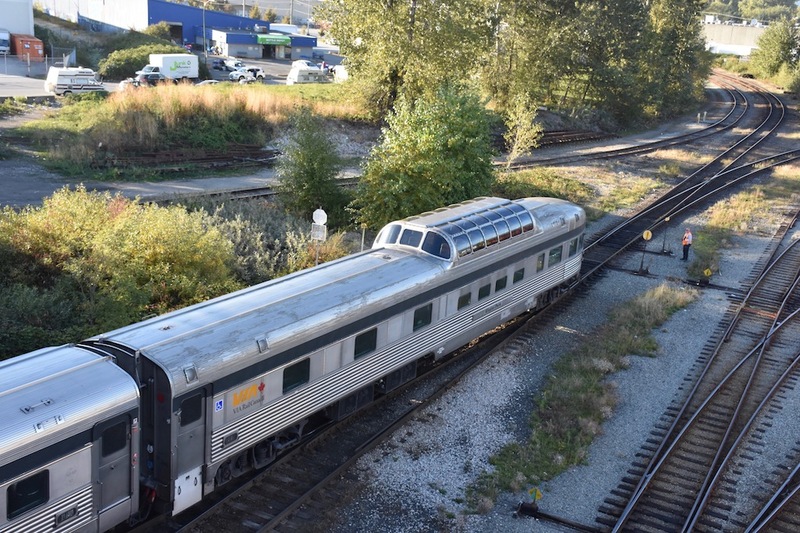 VIA #2 climbs the approach towards the Mission rail bridge, and it's first passenger stop at Mission Harbour. January 1, 2019. That didn't last long. 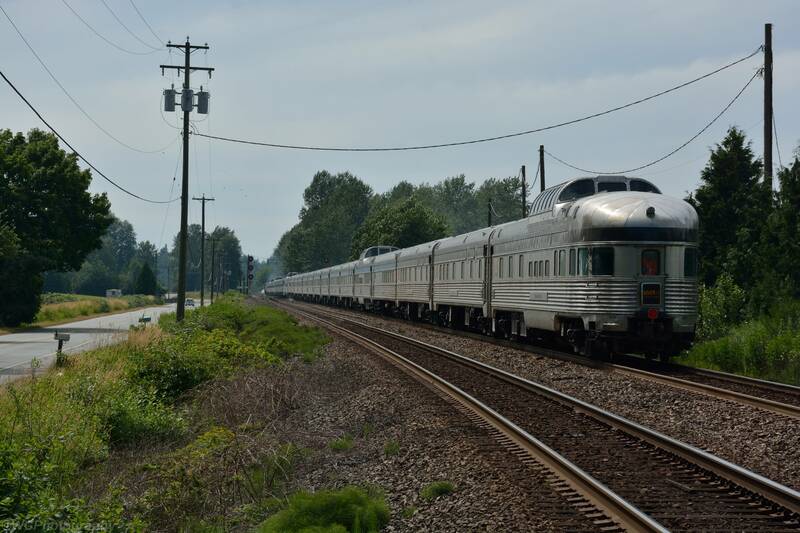 Starting in May, the Canadian will be leaving Vancouver at 1500 (making the canyon part of the trip mostly in the dark). 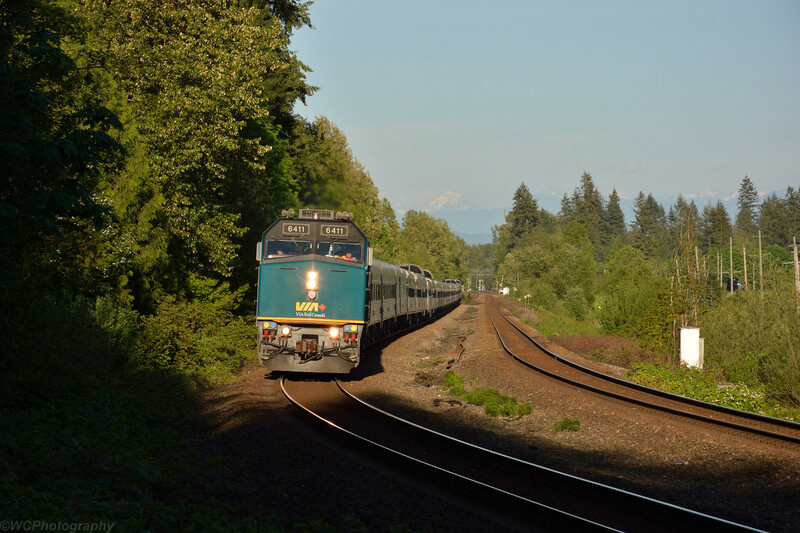 Also this year, unlike years past, there will be no third train running the entire length of the route in the summer. Instead there's a shortened version between Edmonton and Vancouver for the summer months. 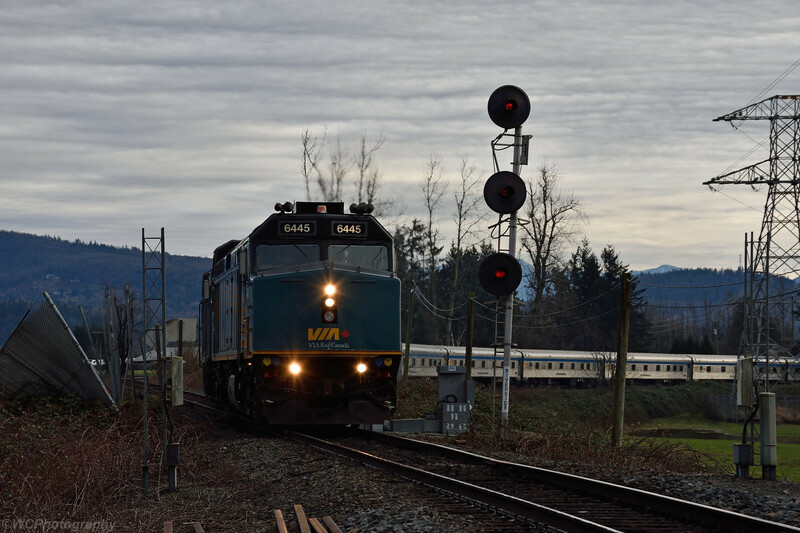 VIA #2 exiting the Grandview Cut, and heading onto the double track, for the run down the New Westminster Subdivision to the Fraser River bridge. February 12, 2019.